Hiya guys! It's almost the end of the month and thank goodness because this has been a long one. I mean it normally is regardless, but being sick for almost three weeks made a month seem like a year. The only good thing about this month flying by so quickly is that once again we find ourselves days away from Polish Pickup. I'm really excited for this month because the theme is Across the Universe! 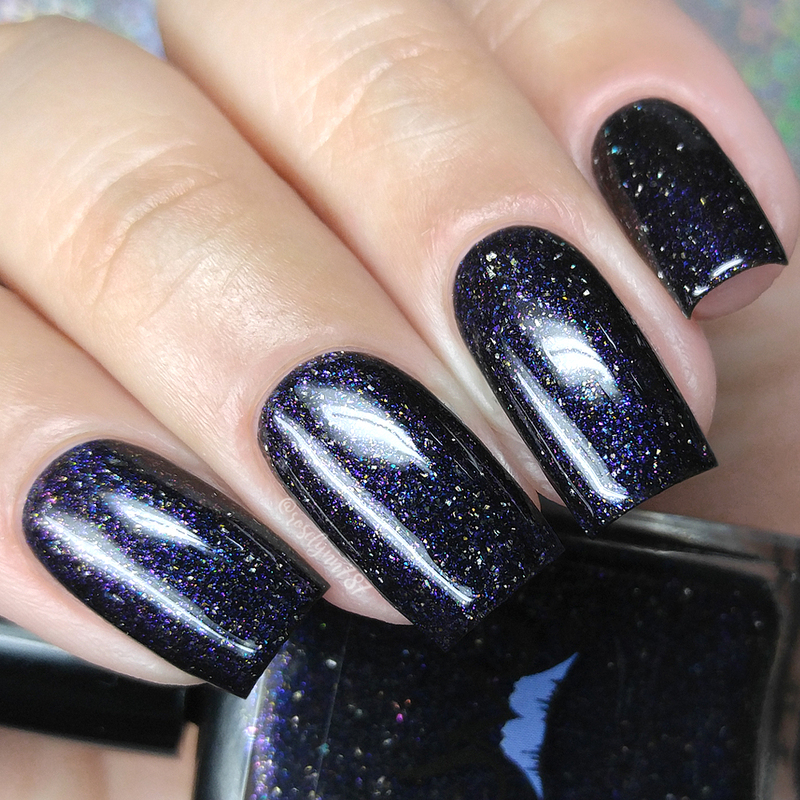 Space, galaxies, and polish magic... Yes, my wallet is ready! For today I'm sharing swatches for Andromeda by Smokey Mountain Lacquers, which is the April contribution to the Polish Pickup Collaboration. This gorgeous rich shade is a favorite of mine, so I'm sure you'll all love it too. Without further ado, let's get to the swatches! Andromeda by Smokey Mountain Lacquers will be available for purchase through the Polish Pickup Shop Friday, April 6th at 11AM EST through April 9th. The full-size 15mL shade will retail for $14 each and there is a generous cap this month at 200 bottles. If you're not familiar with the concept, the Polish Pickup offers a fun, interactive experience that allows you to submit theme ideas, vote for your favorite theme, and selectively purchase your favorite polishes every month. As I mentioned before, the theme that was voted for April is Across the Universe. This month Kim found her inspiration from a photograph of the Andromeda Galaxy. 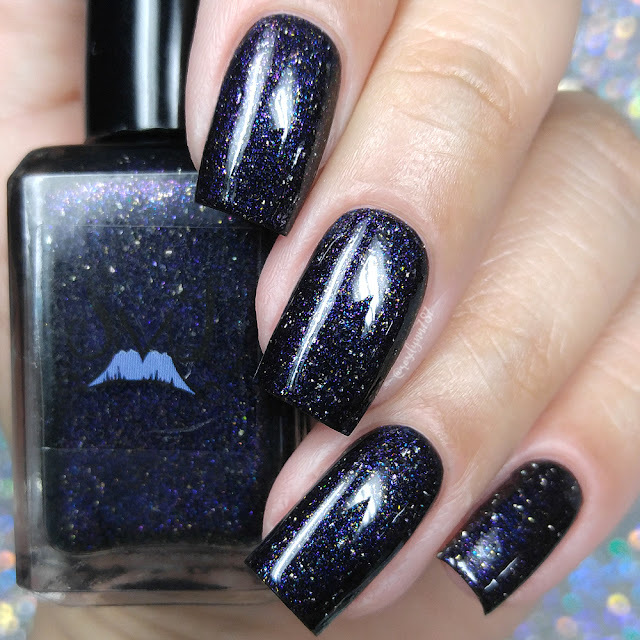 Andromeda can be described as a black jelly base with blue to pink color shifting shimmer (aurora), silver holo micro flakies and gold shimmer. Wowza. To say that this shade is a favorite of mine from this brand feels like an understatement. At the same time it seems like every month Kim manages to impress me even more. This shade manages to effortlessly capture the galactic vibe in the finish. Lots of complexity due to the combination of shimmer and flakies. I felt like after swatched it, I couldn't stop staring at my nails getting lost in the shimmer. That of course could be the polish addict in me going a little too crazed, haha. 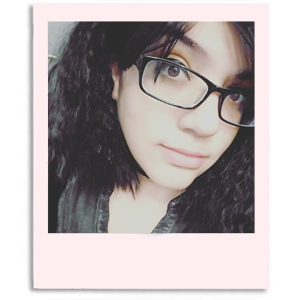 The shade looks fantastic against my skin complexion - really against any tone in my opinion. The formula although sheer still has a good opacity considering it's a jelly finish. It builds-up perfectly for full coverage and is very easy to work with. The consistency is well balanced, not too thick or too thin. It dries down to a high-shine smooth finish on its own. Also I experienced no staining on removal to either my cuticles or nail beds. Shown here in two to three coats and sealed with glossy topcoat. 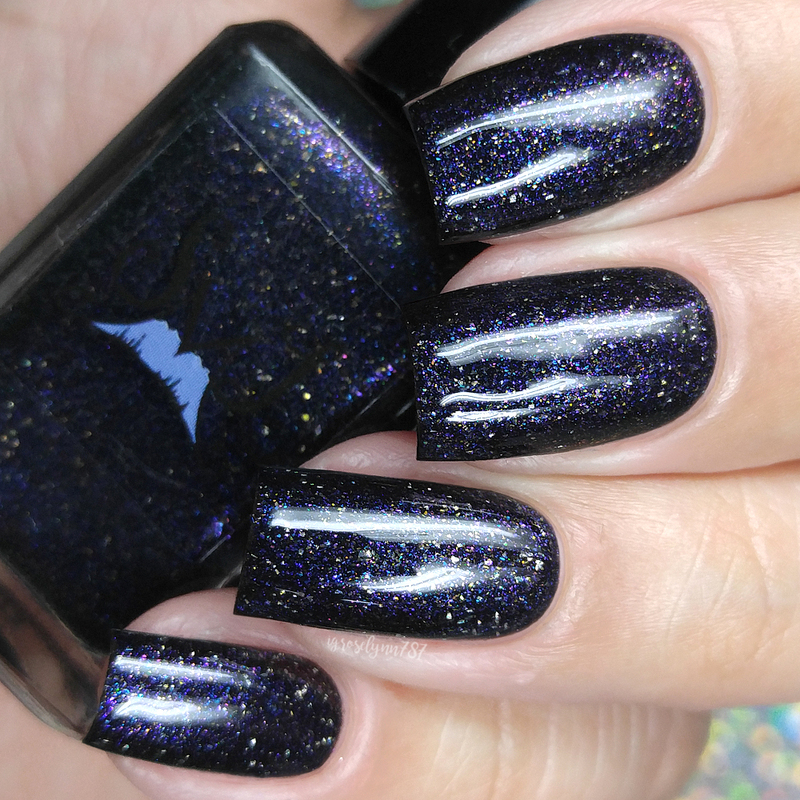 To recap, Andromeda by Smokey Mountain Lacquers will be available for purchase through the Polish Pickup Shop Friday, April 6th at 11AM EST through April 9th. The full-size 15mL shade will retail for $14 each and there is a generous cap this month at 200 bottles.